Shop till you drop! 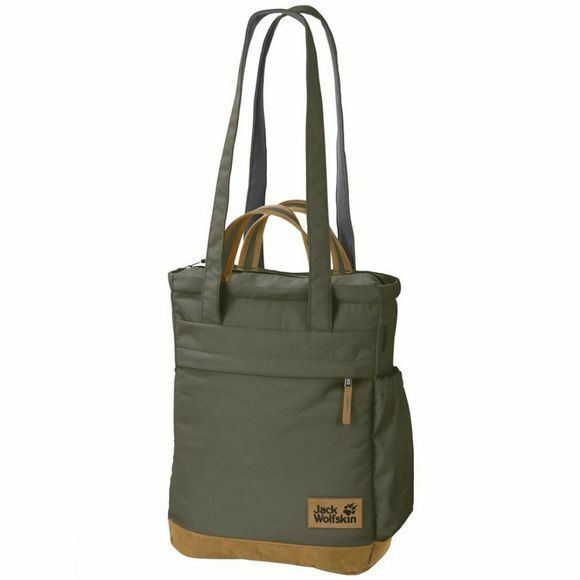 The Piccadilly Shoulder Bag from Jack Wolfskin is a versatile bag for shopping at the market, in the city, the souk or the bazaar. It has several different carry options: on the shoulder, in your hand or like a backpack. One of the shoulder straps can be stowed away at the side of the bag. Hard-wearing recycled fabric and synthetic suede detailing.